1. 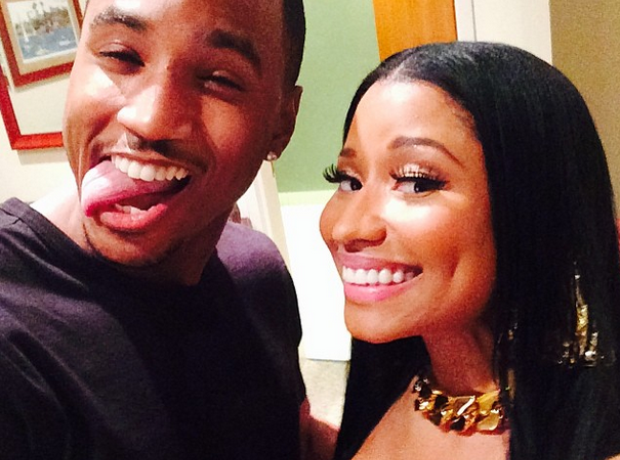 Nicki Minaj has possibly never looked happier than when she was taking a selfie with Trey Songz. 2. Nicki Minaj can be the happiest person on Instagram sometimes. 3. She smiles perfectly in almost every photo, and it has a domino effect. 4. If Nicki grabs a photo with someone else, she makes them smile too. 5. It was a half-hearted effort, but here's Big Sean smiling. 6. So Nicki Minaj got the king of smiles, Drake, to show them how it's done. 7. Unfortunately, Rihanna wasn't feeling it. But Nicki Minaj smiled anyway. 9. But she uploads her happiest red carpet photos. 11. Nicki Minaj even uses Instagram to show how happy she is behind-the-scenes on shoots. 12. But this holiday snap is also close competition. 13. This isn't a recent thing - even Nicki's throwback photos are of her looking really happy. 14. And isn't it nice to see a celebrity smiling rather than pouting? 15. Every selfie is like a competition for who can pull off the biggest grin. 16. And Nicki Minaj always wins. 17. That must be some teeth-whitener that Nicki uses. 18. So let's all smile a bit more, like Nicki Minaj does. 19. No one pulls off a big grin like Nicki.